At the end of Spreading the Gospel I complained that at supermarkets it was easier to find rubbish like Stella or Heineken than any of the many and very good regional Czech beers. That thing kept going around my head, so much so that I decided to go out and see how true that was. So I started roaming the streets of Prague determined to go into every shop and supermarket that sells beer I cam across (which is a lot). In the meantime, Evan Rail posted an about the same topic in his blog. 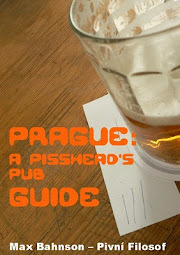 There he speaks about Pivní Galerie and Pivovarský Klub as great places where to find an unmatched variety of beers in Prague. Though the truth is that, when it comes to take away bottles, their prices are rather high, quite higher than what can be paid at a supermarket. It must also be considered that many people don't have the possibility of going all the way there just to buy a couple of bottles to drink with dinner, that is specially so for Galerie, that only opens during the week. Though many seem to think so, I am no beer expert. Yes, I do know more than the average person, but that is mostly thanks to my curiosity and the fact that I pay attention to what I drink, but that does not make me an expert. For example, I don't know as much as I would like about brewing, something that I hope to correct soon, once I start making beer at home, which is, I think, the best way to learn. I know even less about pairings of food and beer. I don't think it's a science, it is more about experience, memory and some common sense, and also, trial and error. If only the weather had been up to the occasion of the Slunce ve Skle craft breweries' festival it would have been like heaven on Earth. Yet, instead of being a pleasant mid-september day, as it had been the previous Saturday in Jižní Město, it was overcast and pretty chilly. The first time I tasted Jihlavksý Grand I was not too impressed. It was on the opening day of Pivní Festival Praha. I felt it a bit out of balance. Evan insisted that it was very good, so I gave it another chance when I went to the festival for a second time. To be honest, I don't remember it very well, in fact, I'm not even sure I had it at all, there are several things that are a bit foggy in my memory from that day. But that's another thing. Most Czechs, and not few foreign residents, maintain with almost religious fanaticism that all beers are draught. It is true in many cases, yet not so in some, specially when it comes to stronger beers. 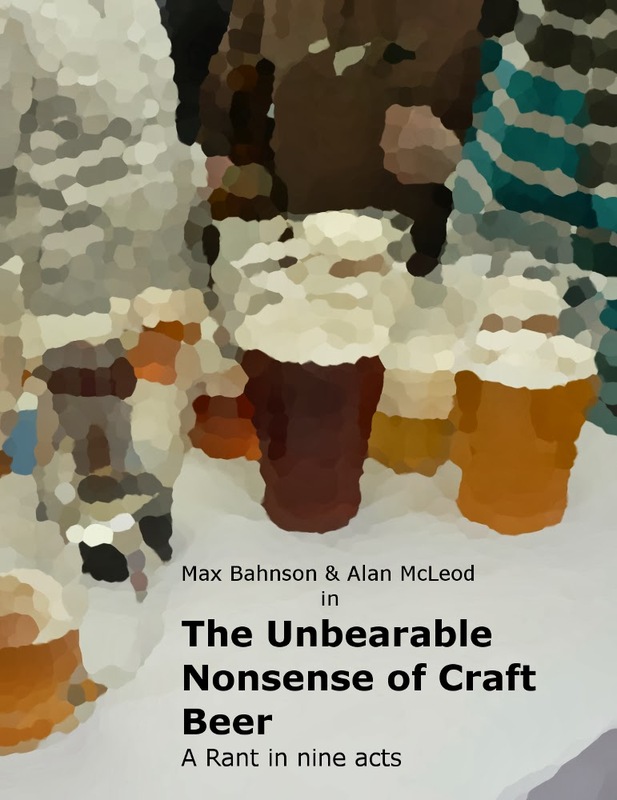 It is as if the more confined space of a bottle makes the elements and characteristics of the beer to integrate in a more compact way, with the result of a more balanced and better tasting brew. Jihlavský Grand is a great example of this. And we did go to the first Jihoměstské pivní slavnosti. How could we miss it, after all it was a perfect day for a beer event, gorgeous sunshine, but with a mild temperature of about 17°C that let you to sit in the sun without getting roasted. The festival took place in a park right next to Opatov metro station, in the district of Prague 11, one of the ugliest parts of the city from the architectural point of view. Lately, the authorities have been trying to revitalise it and they want to prove that paneláky and sidliště can also be fine places to live. This festival was part of the project and they are planning to make it an annual event. We are already in September (We are already in September?!?!?!). For those of us who live in the Northern Hemisphere, Summer is gone and we are mentally getting ready for the cooler and shorter days to come. Fortunately, that doesn't mean that we can't go to any more beer events. Tomorrow, Sat. 13/9, from 1PM, you can attend the First Jihoměstské pivní slavnosti - Beer Festival Jizní Město (the paneláky jungle in South Prague). It is very far from the centre, but it is also very easy to get there, Metro C - Opatov, and then follow the music. There will be 11 beers on tap, including the allegedly legendary Jihoměšťana 11° y Čajové pivo (tea beer, if that won't arouse your curiousity, nothing will). What can be thought of someone that calls themselves Excellent? Are they ambitious, arrogant, self confident or simply mad? And what can you expect of the product of a brewery with such a name? How can you set your expectations? Mine were hight, though I was ready for a disappointment. Excelent - Pivovar Rỳmařov. That is the name of the brewpub of the the town we visited during a trip we made to the area. It was a long journey there. Longer than it could have been. We took a road that looked shorter on the map, but was actually winding and narrow, going through the Jesenìk area, probably the most remote in the country. Despite of that, it was very pleasant to drive slowly by lush forests interrupted here and there by pretty villages with a strong German identity in their architecture (the region was part of the Sudetenland, where, until their deportation after WWII, the population was mostly German). August wasn't a very good month for me. I like my job very much, I love being free-lance and not having any bosses. However, it has a big disadvantage, when I don't work, I don't make any money. That is felt specially in summer, when people take holidays and work slows down, and even more so this year with the new financial obligations. That is why August was a poor month from the beer point of view. I wasn't able to explore as much as I would have liked and a couple of expeditions had to be cancelled.